Quality is Not Only in Our Name, it's in Our Work. Quality Product Finishing Inc. is the largest jobshop coating applicator for painting and coating in the region. 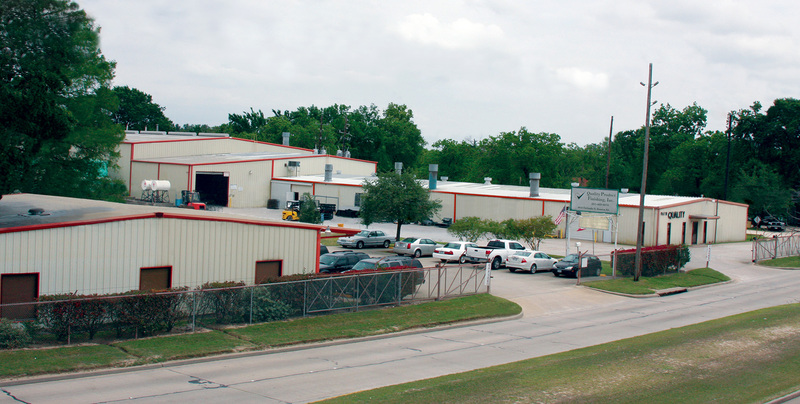 We are conveniently located in northwest Houston, Texas, adjacent to the Sam Houston Toll Road. We have over 46 years in the coating industry, and a 18 acre campus with over 85,000 square feet of facilities. Our equipment includes conveyorized Powder Coating lines, a conveyorized wet paint line, 6 large batch ovens, the largest being 45' long, high temperature ovens, infrared ovens, and state of the art indoor abrasive blasting facilities. We also offer special packaging and have other ancillary capabilities. We apply Xylan �, Nylon, Molykote �, PVDF, thin film, corrosion resistant, sub sea, conductive, anti-gall and decorative coatings to customer specifications, for industrial, commercial and residential customers. We can coat your specific products, such as industrial process equipment, architectural components as well as a variety of consumer durables. Quality Product Finishing, Inc. provides each of our customers special attention and top quality service, demonstrating our commitment to fulfilling all needs. � Automated powder coating lines capable of coating over 25,000 parts per shift. � Catalyzed wet coatings for skid mounted assemblies. � Approved applicators of Nylon and Molykote � as anti-galling or lubricity coatings. � Approved applicators of Xylan �. � PVDF coatings for harsh and corrosive environments. � Multipart coatings for heat sensitive components. � Batch wet painting with conveyorized infrared oven curing. � Zinc phosphate and Iron phosphate surface preparation. � Manual batch ovens for powder coating small quantities and a conveyorized oven for large items up to 45' long. � Fleet of trucks ranging from flatbed, enclosed box vans to over-the-road semis. � Fully staffed Quality Assurance Department, including NACE Certified Coating Inspectors -Level 3.